In the midst of the Phillies vs. Pirates On Deck Exhibition Series this weekend, we’re also hosting the first-ever R U Game? Talent Search Finals on Sunday at noon! We highlighted 7 of the finalists last week and are completing the group with our final 8 this week. 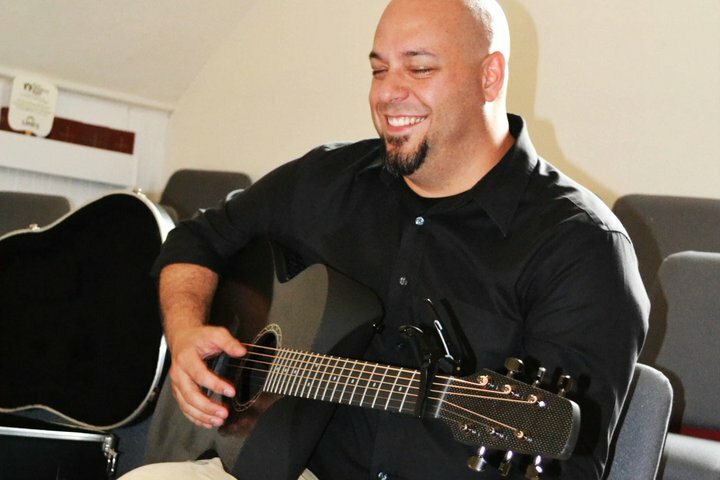 This well-rounded musician has performed professionally for over twenty years, singing everything from classical and opera to musical theater to original rock and pop music. He has performed as a Tenor soloist in Mozart’s Requiem with the Chamber Soloists of Philadelphia in addition to rock performances on the legendary stage of NYC’s CBGB club and recording several albums of original music. John Paul is expected to release a new album this summer which is a collaboration with a childhood friend. 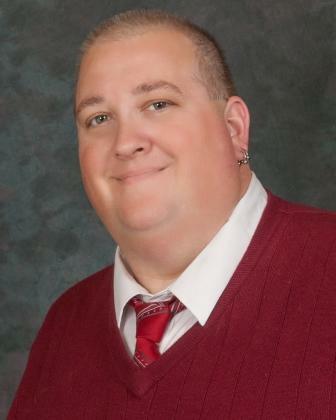 A classically-trained opera singer with 25 years of experience, Chris has performed with various Central Pennsylvania symphonies. He listened to a Pavarotti album and was immediately inspired to become an opera singer which has brought him all the way to the R U Game? Talent Search finals! This trio has only been singing together for a year but they have been performers all their lives. Lex, Rickie and Allonie are truly talented with backgrounds ranging from theater, rap/emcee experience to salsa music. Currently in the studio working on their first EP, they are hoping to break into the music scene and the R U Game? Talent Search is just another step to stardom. Handline was a soloist in her family, as no one else sings, and has been singing since she could speak. Her choir teacher encouraged her talents and from there she performed in theater, pageants and regional choirs. Currently studying law at Temple University with an anticipated graduation in May, she also records music on the side. Nicole may have started as a dancer and earned a degree from the University of Washington but she has also dabbled in acting with roles in movies including Tower Heist. 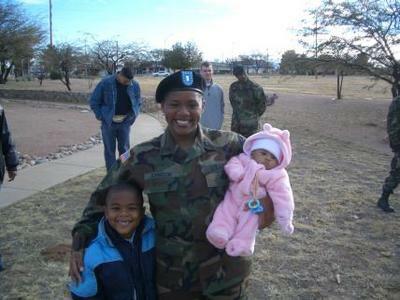 A former military member, she has sung with various Army and veteran programs. 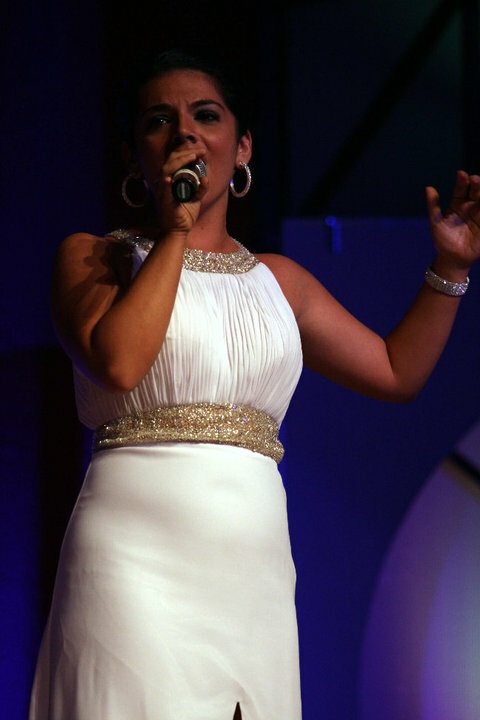 She opened a performing arts school in North Jersey teaching dance, drama and vocals. Nicole, a single mom of three, is currently working on her second degree in nutrition and works as her own boss in a fitness company. As a child, Krasting’s parents would entertain him by playing Broadway music records, specifically Oklahoma and The King and I. His first chance to perform in a semi-professional theater was at age 12 when he played the role of Kurt in The Sound of Music. 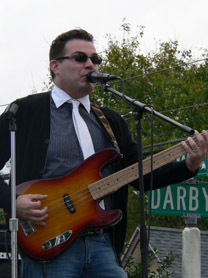 Krasting’s love of music continued through adulthood as he is currently a music teacher in South Jersey. Cyrus got his singing chops from his mom, who was an aspiring country singer before he was born. She encouraged him to sing and perform, which led him to LA where he discovered a love of musical theater. 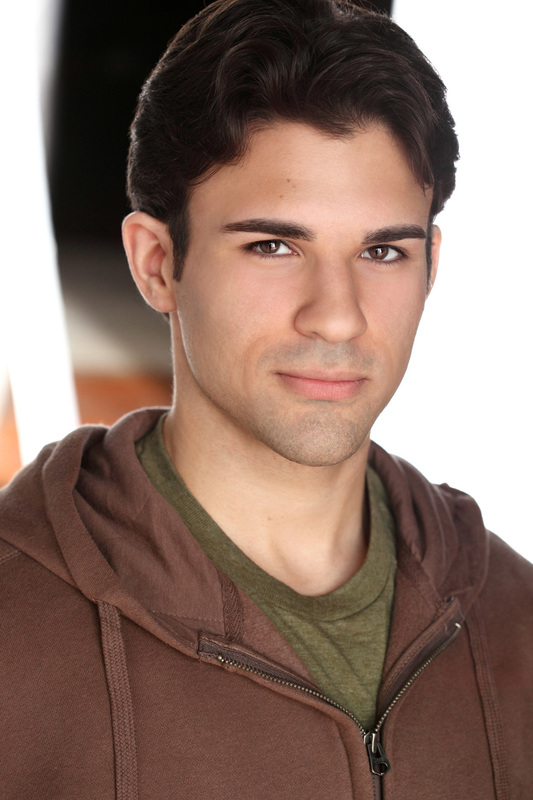 Now a New Jersey resident, Cyrus has most recently starred in a production of Les Miserables as Jean Valjean and aspires to follow in the footsteps of Hugh Jackman and master both the theater and film worlds. Brandon has performed the national anthem previously for minor affiliates of the New York Yankees and New York Mets but hopes to be called up to the majors and sing for the Phillies this time around. In addition to the amazing 15 finalists performing on Sunday, we’re ecstatic to have such a diverse group of judges. Multi-Grammy award winning songwriter, musician and multi-platinum producer as well as longtime collaborator and member of The Roots, with live performances on NBC’s The Tonight Show Starring Jimmy Fallon. International recording artist, signature voice of the Grammy-nominated group Sister Sledge with smash hits including “We Are Family” and “He’s the Greatest Dancer,” entrepreneur, philanthropist and Philadelphia native. 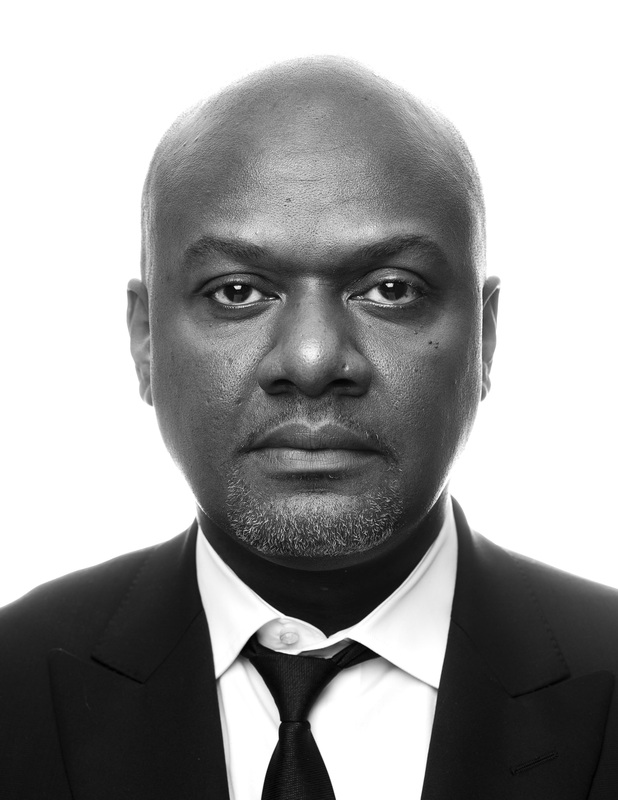 Multi-platinum record producer, has worked with artists Sting, Jay-Z and Eve, as well as Philadelphia philanthropist. 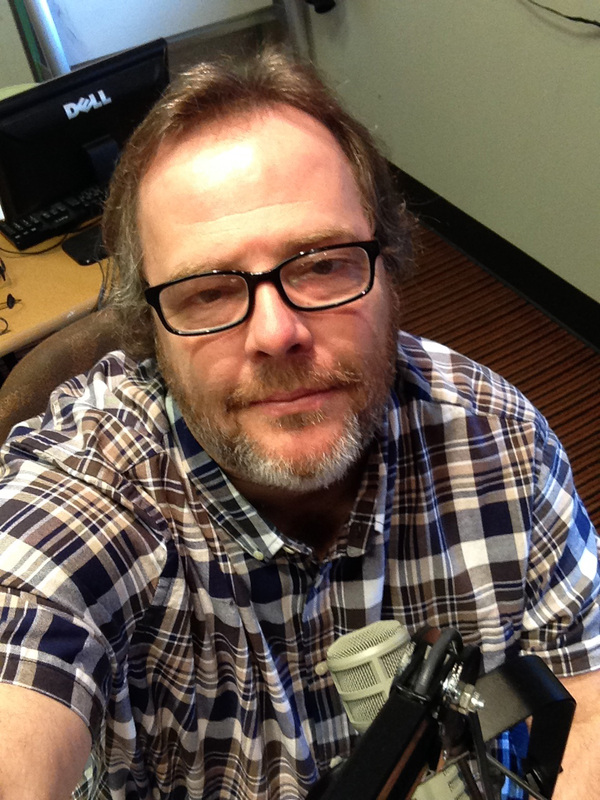 WXPN music director and afternoon host with over 20 years of radio experience. 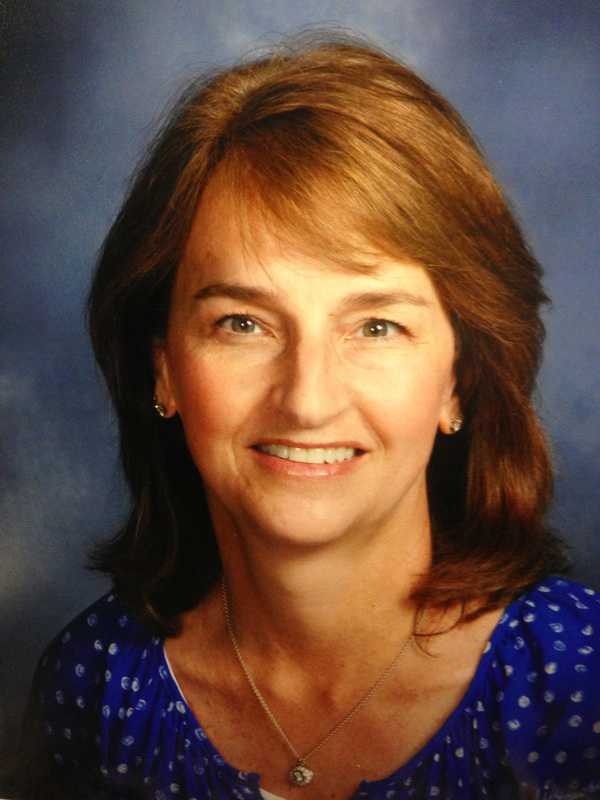 Choral director/music teacher in the Wissahickon School District with over 33 years of teaching experience and sister of Phillies broadcaster and 2008 World Series Champion, Jamie Moyer. 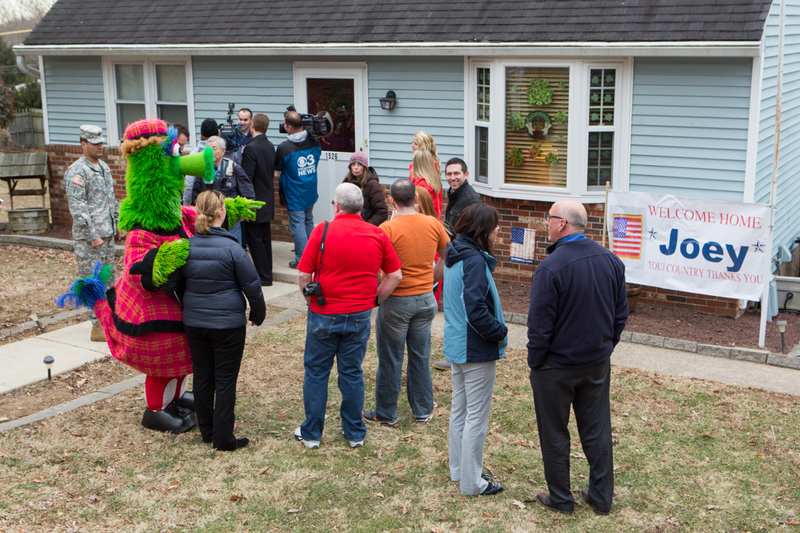 We’re so excited that our Fightin’ Phils have come home…and they are too! Americans love talent shows. We do. We love a great voice to entertain us, amaze us and sometimes even move us. Now, the Phillies are always looking for talented performances at Citizens Bank Park. But this time we wanted to see if fans could deliver a superior national anthem performance on-field. And so the “Phillies R U Game? Talent Search” was created! After seeing hundreds of fans in the Preliminary Auditions, our judges selected 15 finalists to move onto the Final Audition Round, to be held on Sunday, March 30, 2014 as part of Paint The Town Red. We’re going to highlight seven of our finalists in this week’s post (Don’t worry – we’ll have the other eight in next week’s entry!) to give you some insight on the amazingly talented vocal stars competing for the grand prize to sing the anthem at the April 30th game against the New York Mets. Friends first and musicians second. 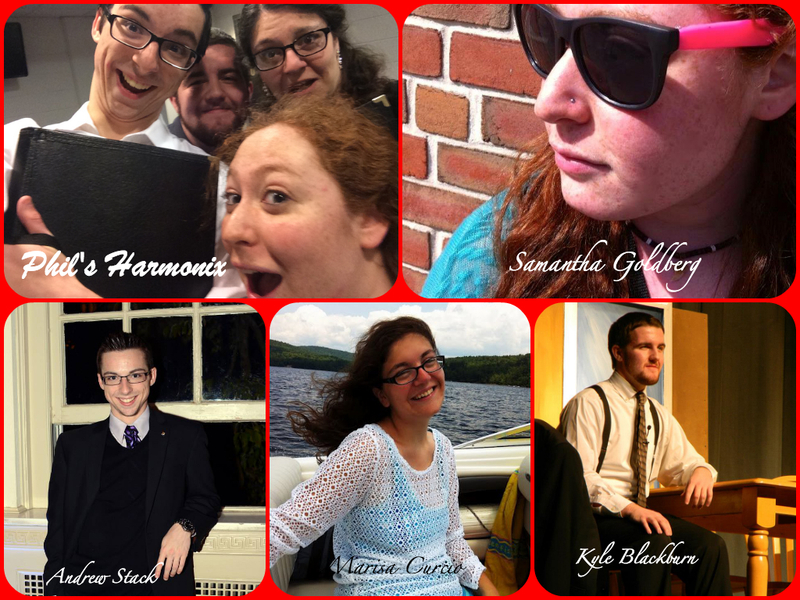 Marisa Curcio, Samantha Goldberg, Kyle Blackburn and Andrew Stack are Phil’s Harmonix. This quartet made up of freshman currently attending the Westminster Choir College in Princeton, NJ, just met last semester but became close almost instantly. While practicing for a test just days before the preliminary audition, the three future music teachers and one opera singer hopeful decided they liked how they sounded together and would try out as Phil’s Harmonix. If they win, the April 30th game would be their first public appearance together. His love of singing and a good competition led Tim Bolognone right to the R U Game? Talent Search finals. Tim, a ministry major and music minor in college, did a little bit of everything – operas, musicals, choral performances and even sang in a barbershop quartet. 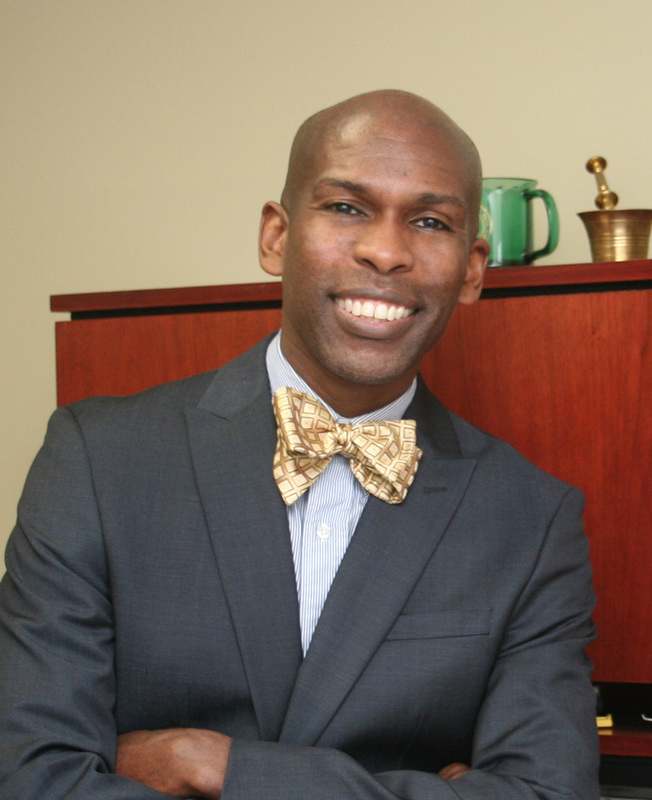 After college, he returned to Philadelphia with his wife, Allyson, and joined local choirs Singing City and Mendelssohn Club in addition to leading worship at Grace City Church, located in Northeast Philly. 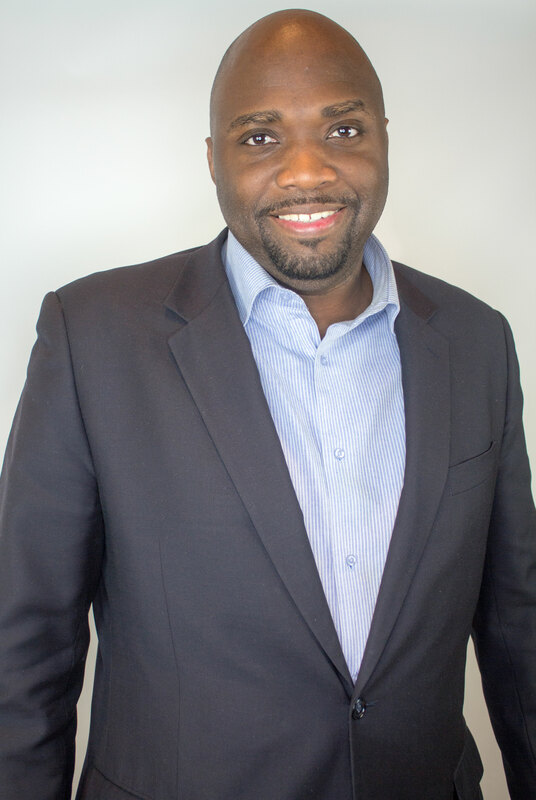 His resume is impressive, with performances in NBC’s Clash of the Choirs in 2007 in Patti LaBelle’s choir and a runner up in the Philadelphia Eagles anthem contest in 2009 under his belt, but he’s ready to win it all this time around. A songbird since the age of three, Marley Alig has been studying voice since 14 and has performed the national anthem at various sporting events, including a Reading Royals ice hockey game – but she’s ready to move into the big leagues. Singing runs in the family for Marley as her great aunt previously performed at The Metropolitan Opera in New York City and her mom in various high school musicals. Although she has performed with jazz groups here and there, she’s a purist at heart and likes her national anthem done in classic style and sang how it was written. Marley is currently a student at Temple University, Fox School of Business working on a degree in marketing and resides in South Philadelphia. A Jersey girl born and raised and longtime Phillies fan, Kelly LaVigna has sang professionally for years but hopes to fulfill a life-long dream to sing the national anthem at a Phillies game through the RU Game? Talent Search competition. Proud mom to her beautiful seven-year-old daughter, Lauren, Kelly is also co-owner of Route 9 Entertainment and the lead singer in various groups including her own solo act. With past performances as a studio demo singer for artists Brandy and Monica, multi-time winner at The Apollo Theater’s Amateur Night as well as live performances at many Atlantic City casinos, local venues and private parties, she’s ready to premiere on-field at Citizens Bank Park. Jenna Bramble, a Phillies fan since she was three months old, learned how to sing the national anthem at the age of 10. From that point on, she has dreamed of singing it at a Phillies game and hopes to get her chance through the Phillies R U Game? Talent Search. 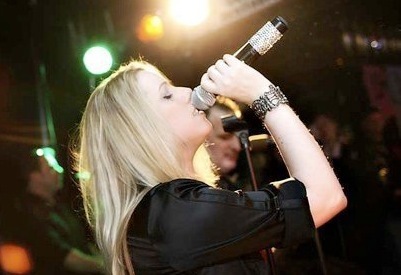 While she doesn’t sing professionally, the former wedding singer and karaoke bar enthusiast does enjoy performing for friends and family and most of all – for fun. Jenna has performed the anthem and God Bless America at a major league ballpark before – for the Washington Nationals in 2008 – but we won’t hold that against her! (Kidding!!) She is a public relations manager for the tech start-up, Taxi Magic App, and lives with her husband, Frank, and their dog, Chase Mutley (pictured above), in Edgewater Park, NJ. Valerie Martin has enthusiasm that is seriously contagious. A performer from the start, she began singing in church at the age of three and never stopped. 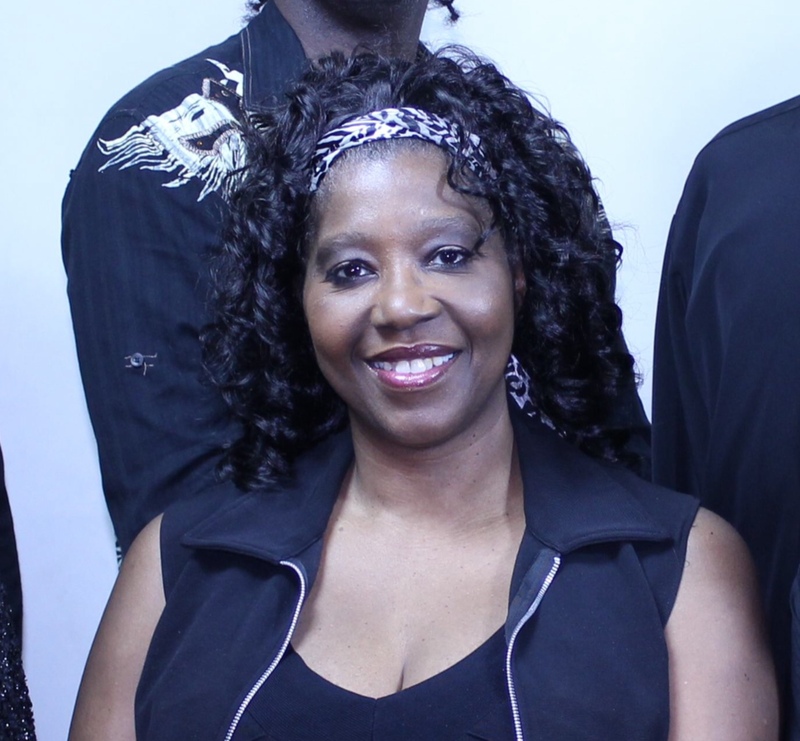 A fan of Patti LaBelle, Aretha Franklin, Beyonce and Kelly Clarkson, Valerie looks up to women with outrageously powerful vocals for her inspiration. Her day job may be at Ballard Spahr, but she loves performing with her husband in their band, which they’ve been a part of for over 28 years, at local Philadelphia venues, weddings, restaurants, backyards and anywhere else she can showcase her talent! 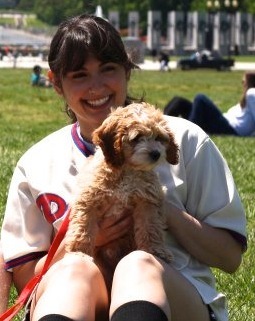 Valerie hopes to win it all at the inaugural Phillies R U Game? Talent Search this year. 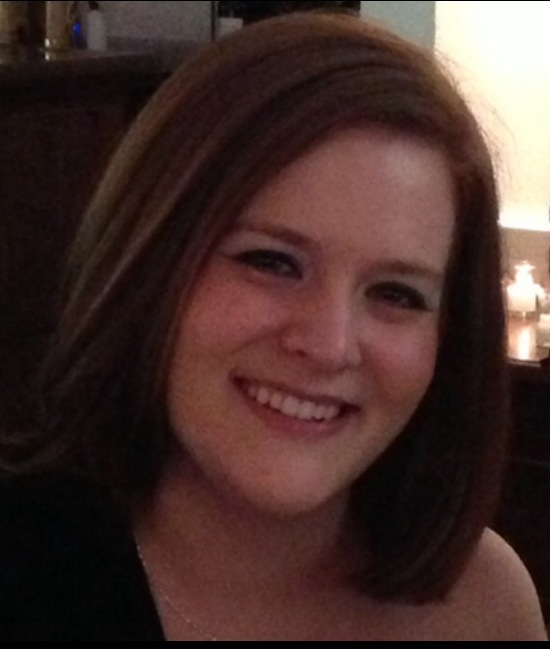 Singing and making up songs since she could talk, Liz Kretschmer, of Newtown Square, Pa., is a natural at the art of vocal performance. Coming from an artistic family of ballet dancers, artists and videographers, Liz writes, records and produces her own songs in an effort to follow her dreams. Her background extends to performances in Opera Philadelphia’s production of Nabucco, in an acting role, as well as part of the Pennsylvania Academy of Performing Arts’ Concordia. 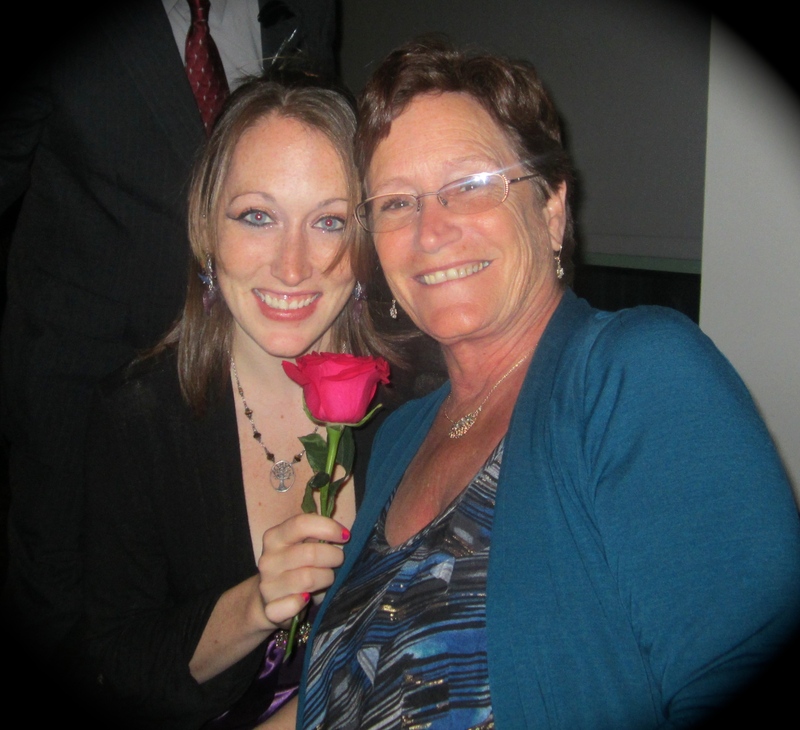 Liz dedicates all of her performances to her true inspiration – her mom (pictured above on the right), who recently became ill, but inspires her daughter to follow her passion to the fullest of her capabilities. Our 2013 Draft Pick, J.P. Crawford reminded us that we really love this game too. That’s all this week. We’ll have the other half of our wonderful Phillies R U Game? Talent Search finalists for you next week. 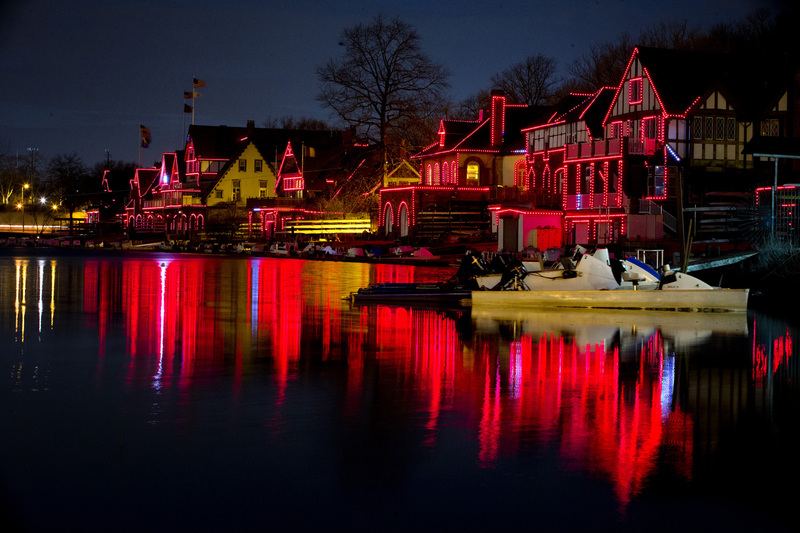 Enjoy the first weekend of the spring! 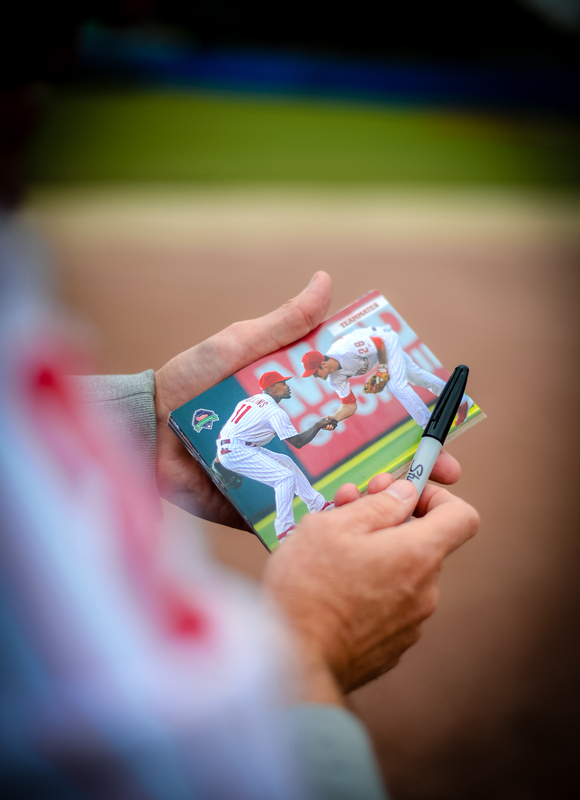 One of the most rewarding things about being affiliated with a Major League Baseball team is the opportunity to be a part of the lives of our fans. Whether it’s helping a parent make a memory with their son or daughter at his or her first game, the Phanatic visiting an auditorium packed with elementary students as part of the Be A Phanatic About Reading Program or a grandparent listening to the Phillies game with their grandchild while playing cards, it’s all gravy for us. But when we can give back to a member of the military – well, that’s really the best thing ever. 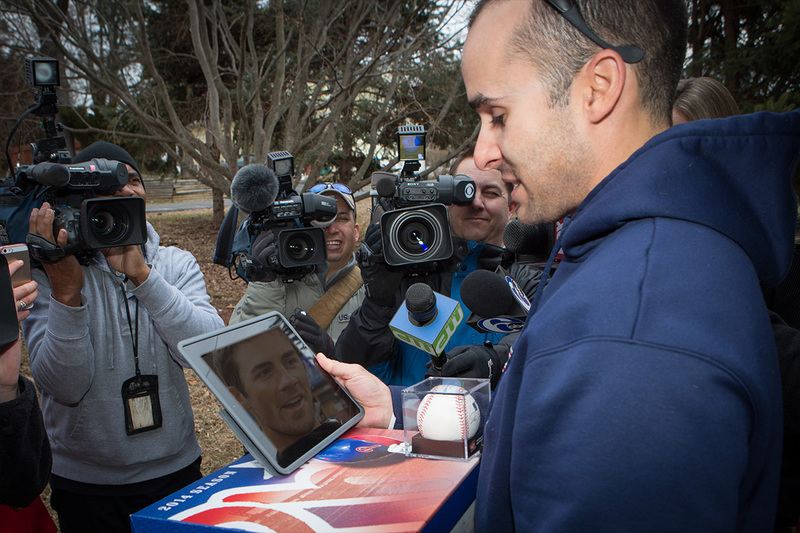 This morning, the Phillies, along with the Liberty USO, made a surprise delivery to a local military hero. Sergeant Joe “Joey” Andreacchio, a two-time veteran from Iraq and Afghanistan, just returned from his latest nine-month tour of Afghanistan. He has earned several accolades including most recently the Army Commendation Medal. Andreacchio was born and raised in Upper Darby, PA and is a sergeant with the 333rd Engineering Company in Reading, PA – US Army Reserve. Besides his incredible job as a soldier, protecting our freedom, he is also a life-long Phillies fan and Sunday season ticket holder. 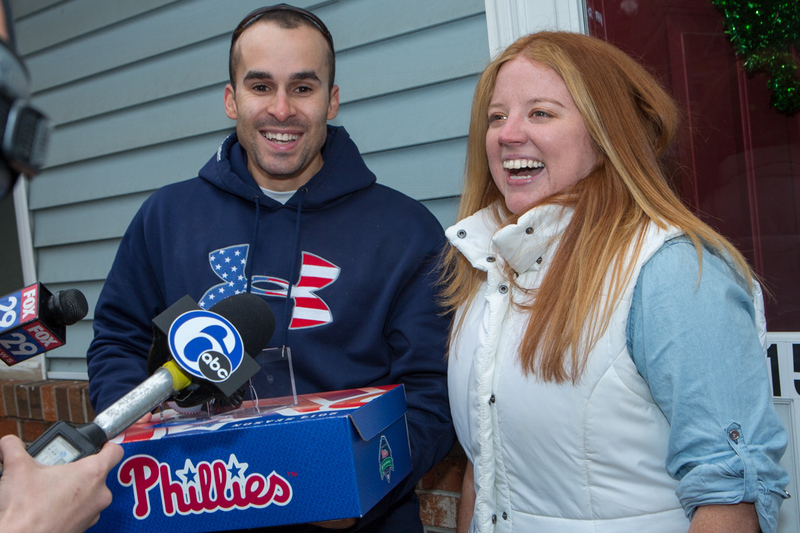 So, the Phillies approached Joey’s family and girlfriend, Corrie Gorman, to organize a very special welcome home including special visitors and a very special message from a certain southpaw currently residing down south. And now we present the top moments from this morning’s event! 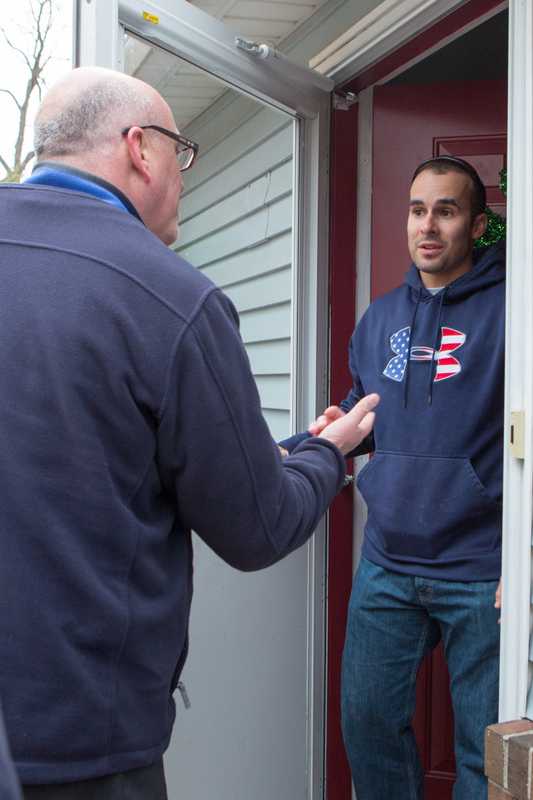 Liberty USO President did the honors of knocking on the door to greet an understandably skeptical Sergeant Andreacchio. He was in for quite a few surprises. Woah! Tons of media are on the front lawn of his girlfriend’s parents’ house. Hope he’s not camera shy! Oh hey there, Tommy Greene. The former Phillie joined the welcoming party, which also included Phoebe Phanatic and Phillies Ballgirls! 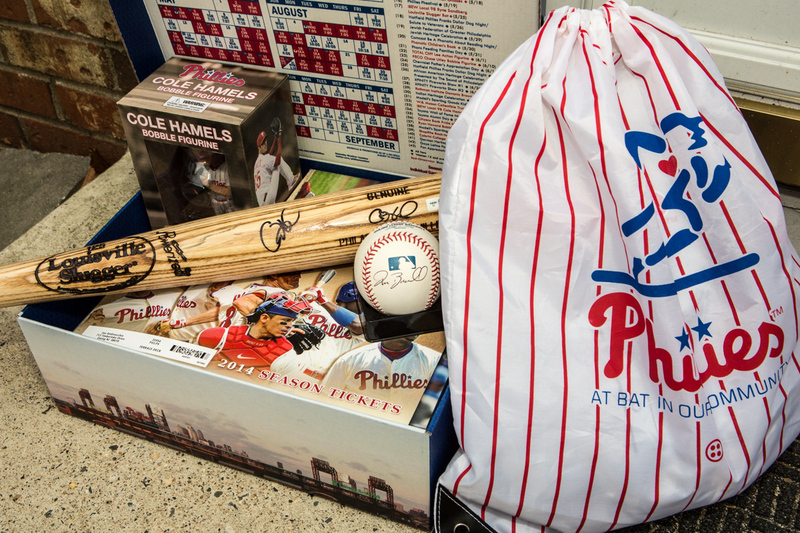 Some nice Phillies loot! Not a bad haul, huh? 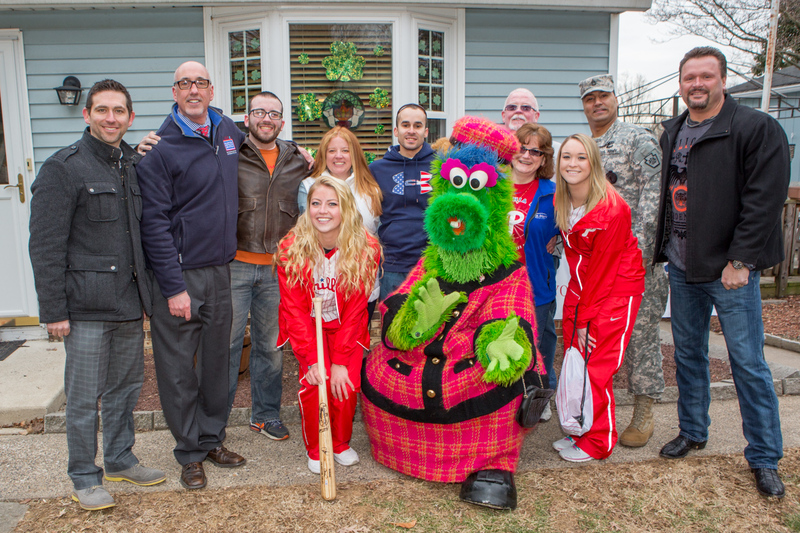 But the best part may have been when a Phillie who actively supports the military through his foundation called in. Yes, the one and only Cole Hamels Face-timed with Sergeant Andreacchio from Bright House Field. Here’s video of the interaction, with a special appearance by a certain first baseman. All in all, it was a pretty cool morning for us. If you want to check out more photos from the special ticket delivery, you can do it here! If you’re a Phillies fan then you probably know that Doc Halladay joined the Twitter universe this week. If you didn’t know, you may be living under a rock – so give him a follow. Well, that’s all from us. Remember to follow the @Phillies on Twitter and don’t forget to follow your Fightin’ Phils while you’re at it. Until next time! We do. We really do. 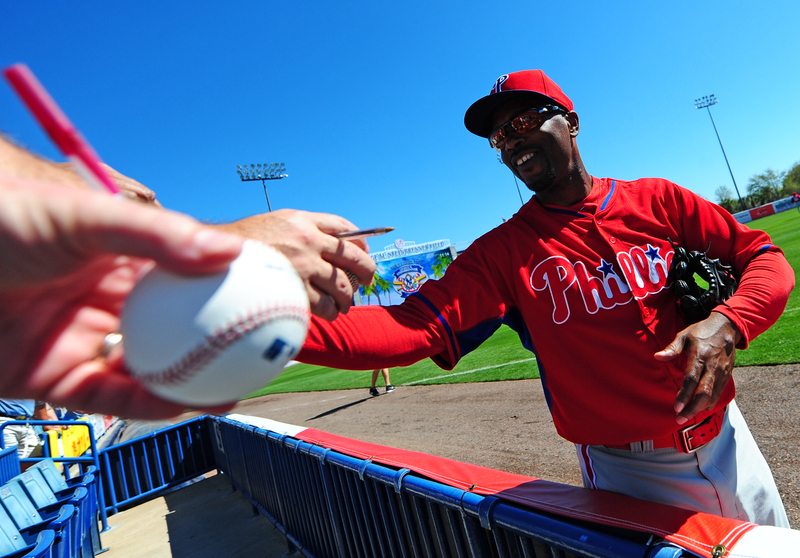 We love seeing Phillies fans during spring training. 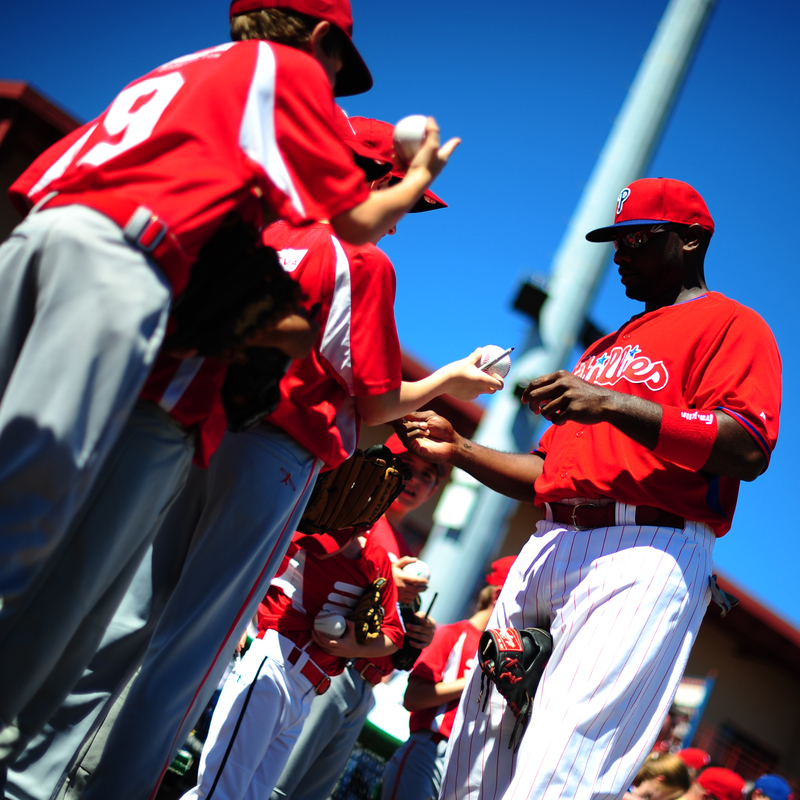 It’s such a great time to get up close and personal with your favorite Fightins. Now that spring training games are underway, fans get to see the Phillies bats begin to get active. Just yesterday against the Yankees, three solo homers by Freddy Galvis (against Tanaka!) 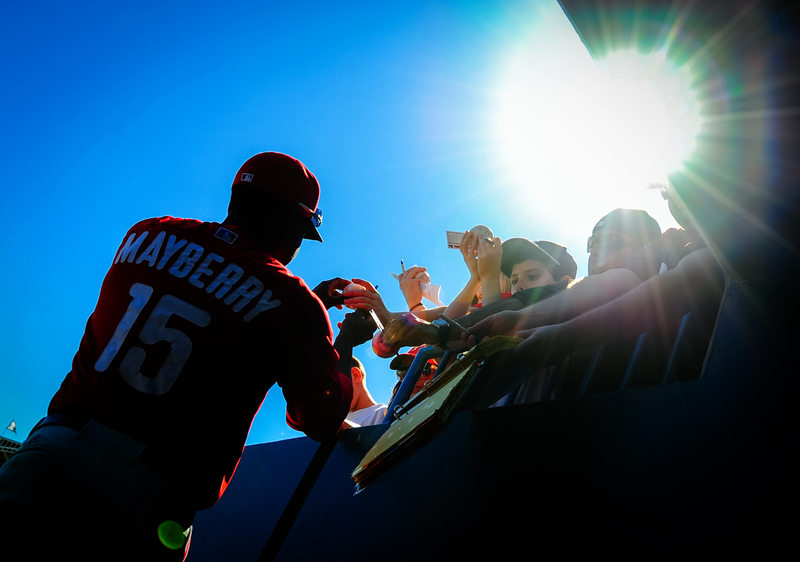 followed by Mayberry and Chooch with back-to-back HRs highlighted the game. 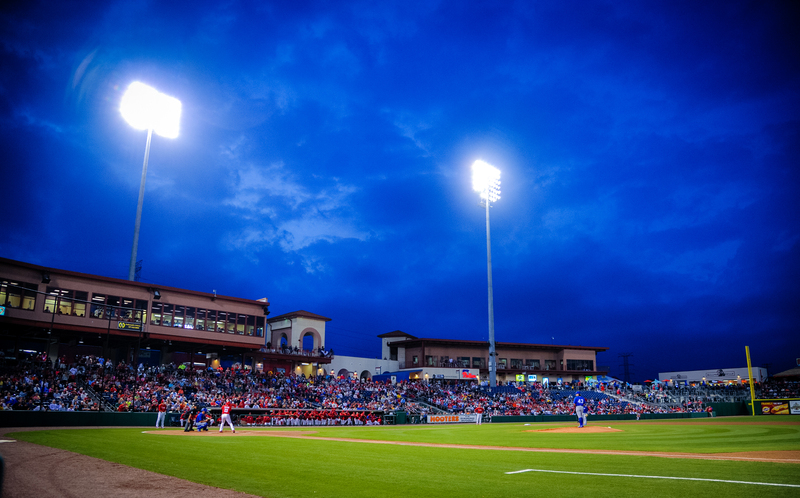 If that doesn’t get you excited about baseball’s return then we may need to check your pulse. 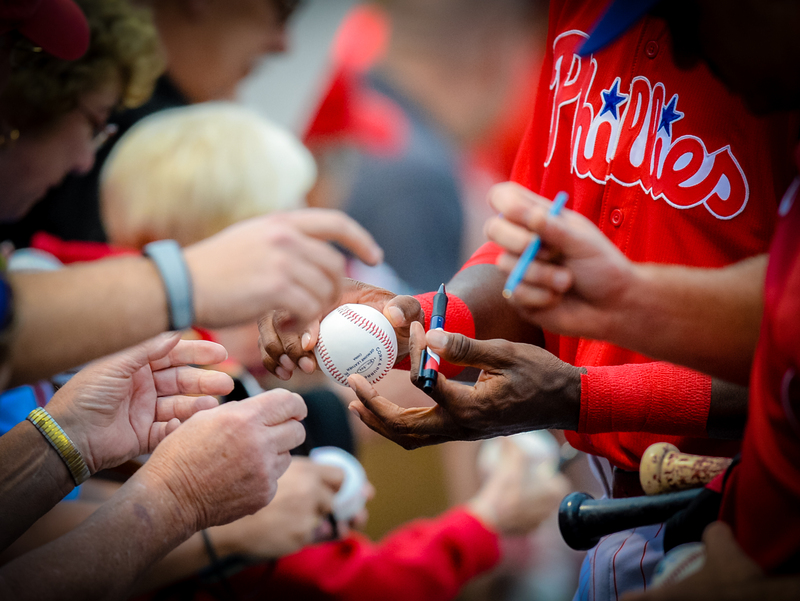 Check out some photos from the past week that we particularly enjoyed of Phillies fans who made the trip to Bright House Field for the first week of games. The Big Piece signing for fans/making their ST day. JRoll signing in the sunshine. Ready For Some Paint The Town Red Goodness? Awesome because it starts so very soon! As we get ready to welcome the team back to Philadelphia and Citizens Bank Park, we have tons of fun-filled fan events planned for all ages, including the four-legged members of the family. We’ll have details on all the events very soon so be ready for #PTTR to return! Until next time…enjoy your weekend and catch some Phillies baseball while you’re at it! If you’re in Clearwater this weekend or coming to audition for the R U Game? Talent Search, let us know here and by tweeting @Phillies. We love hearing from you. OK, that is all.